Ragdoll cats are gorgeous pets in any household. In fact, if they were readily available for adoption, most homeowners would keep them as pets. Sadly, these cats are only found with breeders. Mitted Ragdoll: this kind has the classic Ragdoll look and most breeders believe it is the pure breed of the Ragdoll cat family. Mitten Ragdoll cats also have white stockings at the back on their feet and a strip of white on the face. Pet alter quality: This kind is mismarked and may not show the features of a Ragdoll 100%, but it may have the nature of a show cat that has been spayed or neutered. Some breeders leave it to the buyer to sterilize the cat. Solid points: they have similar markings as Siamese cats, but have points of color on the feet, tail, and ears. Some may have some color on the body. Lynx: the cat resembles the solid Ragdoll cat only that it has tabby cat markings. They also have faint stripes on the tails and legs. Tortie: this kind resembles a calico cat as the colors show up on the tail, legs, and ears. They feature red and black colors though another may have chocolate and orange colors. Be sure to look for Ragdoll cat breeders who breed purebred lines of these cats. 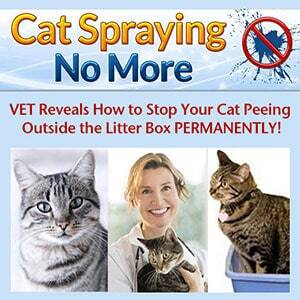 Also, ensure the breeder is keen to keep the cats in good health and performs routine checks. The parents of the kitten should be fully health tested and provided with quality care during mating. How Does A Ragdoll Cat Behavior? You also want to get acquainted with the Cat’s Behavior before buying one. While other types of cats tend to be overly demanding, Ragdoll cats can be quite independent. They have soft voices and are very calm, with this reason that making them popular for cat lovers. Kittens tend to be overly playful, a feature that fades when they become adults. Additionally, you can train them to perform some tricks using positive reinforcement training. This cat has a friendly personality, which is pretty different from other kinds of cats. They are also particularly tolerant of kids and other animals like dogs, which explains why most homeowners prefer to keep them over other kinds of pets. Should You Groom Ragdoll Cats? Just like dogs, Ragdoll cats need regular grooming too (using a steel comb). According to Lora Tesh video, to remove tangles and anything trapped in the coat. Since they have soft silky coats, they are not prone to problems as other pets; grooming serves as a preventive measure. However, Ragdoll cats easy to losing fur. Thus, if you are not ready to vacuum your carpet and furniture regularly, you should consider buying another kind of cat. This cat’s fur is soft and moults frequently, hence the need for regular grooming using a steel rake and rubber brush. How Do You Feed the Ragdoll Cat? Ragdoll cats need a sizeable feeding based on their age and weight. Keep in mind Ragdoll cats are the most powerful genre of the cat family with some weighing up to 25 pounds. Average Ragdoll pets weigh 10-20 pounds with female cats being a little lighter than males. Be sure to provide a balanced diet with constant access to fresh water. The food should also be low in carbohydrates and contain high amounts of protein. If you are using dried cat food, ensure it has a healthy balance of nutrients. What is The Price of A Ragdoll Cat? The price varies considerably based on the color of the Ragdoll kitten, the breeder, and your area of residence. A healthy kitten from a good breeder may be a little expensive. Additionally, if you are planning to buy the kitten along with breeding rights, the price nearly doubles. Adult Ragdoll cats are cheaper than kittens as the seller may be an enthusiast who is retiring it. The comprehensive guide should help you decide to buy Ragdoll cat that you want and you know about what is required to keep the pet healthy. Vet visits are important because they can help you decide on the vitamins you need to add to the pet’s diet.